A sale that required a deposit before an item is ordered or manufactured. To order an item for a customer with or without a deposit. Internal slip that can be attached to the goods (for lay-by) or given to the manufacturing / ordering department (for a Sale Order). Both slips can be customized for any requirement. For more information on how to use Lay-bye and Order Slips see the help file. It was possible to add custom functions and give it the names you wanted, but you can now also give internal POS functions any name you want. This can be used to customize your menu even more. 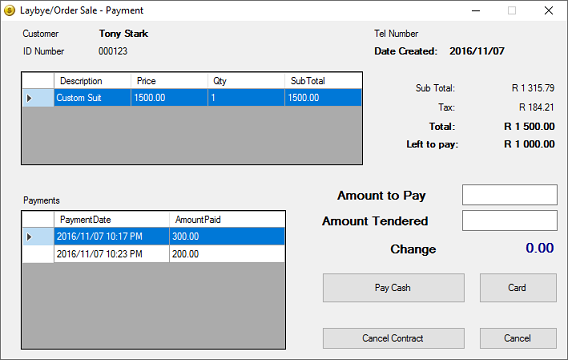 An example would be with the new 'Lay-By / Sale Order' functions. 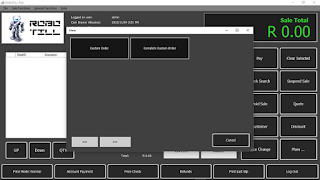 If you will not be using Lay-By's, but you want to use Sale Orders as you manufacture custom orders, you could rename the buttons so that it makes more sense to your cashiers (see below). 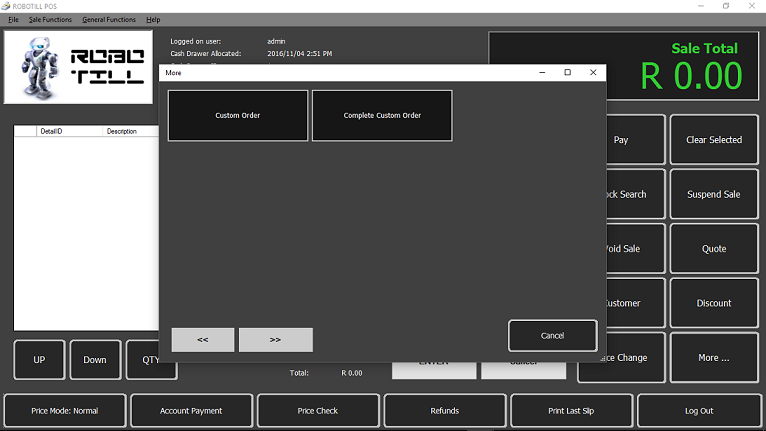 In the Restaurant POS module you could have hidden the 'ingredient's categories from the menu. The stock items would however still have popped up when you did a stock search. 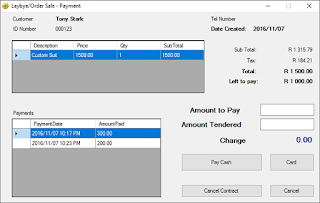 In version 5.4, these items are now completely hidden from both the Restaurant POS module and the Retail POS module. Quotations was improved - when converting a quote to a sale you can now search by Quote ID or customer account number. Stock Sales Report was fixed (a blank page printed on every second page). It is now possible to delete users. Download your FREE Point of Sale Edition now.